Please post your questions below to our panel of franchise experts. Any question submitted will be dealt with confidentially. Seventeen years of experience in banking and finance has given Grant the experience to help clients through every stage of their business life cycle. He understands the importance of being able to provide tailored solutions to meet the requirements of your business. Grant services a portfolio of preferred franchising clients - Bakers Delight, Jamaica Blue, Muffin Break, Subway, Salsa and Boost Juice Aussie Farmers Direct, Pizza Hut, Dominos, KFC and McDonalds. Steve Seddon is a Senior Business Development Manager with Westpac. He specialises in the franchise sector and holds a position on the Franchise Council of Australia’s Western Australian Committee. He holds a Bachelor of Commerce, Diploma in Franchising and is a qualified CPA. Lanyon Partners has three divisions – Insurance Broking, Financial Planning and Accounting. Tim is a director of Lanyon Partners Chartered Accountants and heads up the franchising area of that division. Tim has been active in the franchise industry for nearly twenty years as an advisor, consultant and author. He has provided advice to, and acted for, many franchisees and franchisors. He is particularly active in advising on the purchase and set up of franchise businesses, on proper business structuring and on tax minimisation. Greg Lawton has spent almost 10 years specialising in franchise finance. In that time he has developed a real passion for the industry, as well as strong relationships with franchisors and franchisees alike. Greg builds these relationships by providing high levels of customer service and support at every point – from the beginning of the loan application process through all the ‘life stages’ of the relationship. Once he understands the specific needs of his clients, Greg works closely with them to provide the appropriate solutions. Greg’s qualifications include a certificate in financial markets from FINSIA and a certificate of Franchising from Griffith University. Alan is a director of an international franchise system and an experienced consultant, commercial lawyer and franchise expert recognised for his skill in negotiating and completing business set up and expansion projects. Alan while franchise team leader at Donaldson Walsh Lawyers, achieved the Franchise Council of Australia (FCA) Excellence in Franchising Supplier of the Year Award in 2009 and 2010 and the International CorporateINTL Award for Franchising Law Firm of the Year in 2010. Alan was a director on the board of the FCA from 2003 to 2009 and the National chair of the Ethics Committee for the FCA. Alan is a recognised International speaker and publisher on franchising. Vicki Prout has had varied experience having been involved in the franchising sector as a Franchisor, Franchisee, and Consultant. Her franchising journey seriously took off when she became the International Development and Marketing Manager for Cartridge World. Vicki established Sherpa Group in 2009. The company operates as an international consultancy guiding businesses throughout their franchising / expansion journey, working in a leadership partnership role with clients. Vicki was voted SA Franchise Woman of the Year for a record four years 2006, 2007, 2008 and 2010 and was recently FCA National Chair for Women in Franchising. Currently an International Franchisor in the child care sector – daily working as a franchisor – real time, real life consultancy and assistance. - Franchise Council of Australia : Director 10 years, Chairman 2 years. - World Franchise Council : 2 years. Specialties: Franchising, Finance, Marketing, Management. Robert Toth a Partner of Marsh & Maher Lawyers is a recognised leader in Franchise law in Australia and a Member of the Franchise Council of Australia (FCA) & the International Franchise Lawyers Association(IFLA). An Accredited Business Law Specialist with over 30 years’ experience, Robert acts for Australian Franchisors and Overseas Franchisors and Companies looking to establish business in Australia & New Zealand. Robert heads the Franchise, License & Distribution practise at Marsh & Maher Lawyers and is a regular contributor to Franchise & industry journals. Marshall is a corporate and commercial lawyer with a particular focus on acting for clients that distribute goods or services through a network, or who exploit brands, technology or intellectual property. Marshall represents a number of leading national and international franchise networks and has significant experience in providing advice to franchisor clients across a broad range of industries. Marshall has extensive experience in franchising and distribution, intellectual property, mergers and acquisitions, capital raisings, joint ventures, private equity transactions and general commercial advice. Bruce is a Partner of Herbert Geer Lawyers and is the national head of the Property – Franchising and Leasing team. He has practiced for over 20 years. Bruce provides franchising advice and guidance in Australia and New Zealand, acting for a number of well-known franchisors, franchisees and master franchisees. Bruce’s specialty is with retail franchise systems in which leases or licenses of premises are critical to the conduct of the relevant franchise system. Bruce has an excellent understanding of the unique relationship between the landlords, franchisors and/or franchisees. Corinne is a franchising and retail specialist with more than 25 years franchising and retail industry experience including extensive in-house experience as general counsel with responsibility for over 350 franchised stores. Corinne’s approach is outcome oriented and risk management based and combines practical business advice with legal solutions. She acts for primarily retailers, franchisors, master franchisees and multi-unit franchisees. David Newhouse is the Principal of Newhouse & Arnold Solicitors and an accredited Business Law Specialist, being one of only two who holds a sub-speciality in franchise law. With over 18 years of experience as a Franchise Lawyer, David acts for a number of well-regarded and prominent franchisors and franchisees and has proven strength in his commercial approach to advising, negotiating, initial set-up and buying/selling of franchise businesses. 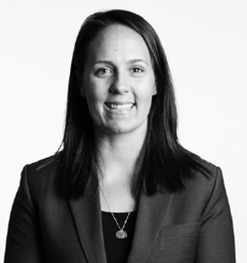 Melissa Strain, a Senior Associate at Wisewould Mahony Lawyers, is an Accredited Business Law Specialist with extensive experience in franchising. Melissa acts on behalf of franchisors, including assisting with the establishment of new franchise systems, as well as providing advice to existing and potential franchisees on the terms of franchise agreements and related documents and franchisee’s rights under the Code of Conduct. Melissa works with both franchisees and franchisors to resolve franchise related disputes and assists franchisees with negotiated exits from franchise systems. Melissa is a member of the Franchise Council of Australia.